Growing up an active teenager in Georgia and later Tennessee, Hannah Collins enjoyed playing sports with her two brothers. It was during those teen years that she became focused on her body. 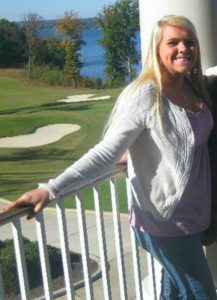 This only led Hannah to dieting and harsh exercise. She explains, “You would think that eating vegetables, fruits, no fried foods, no desserts in addition to running 3-5 miles every day that I became rail thin, but no, that was not was the case. I was fat and miserable by being controlled by all the food and exercise rules. 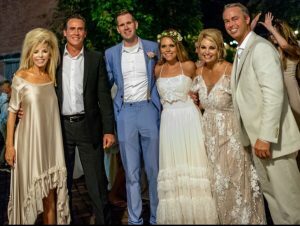 It shortly after that prayer 5 years ago that Hannah was introduced to Weigh Down by Pat and Sharon Porter and Rob and Tiffani Day. She had just been been hired by the Day’s company. 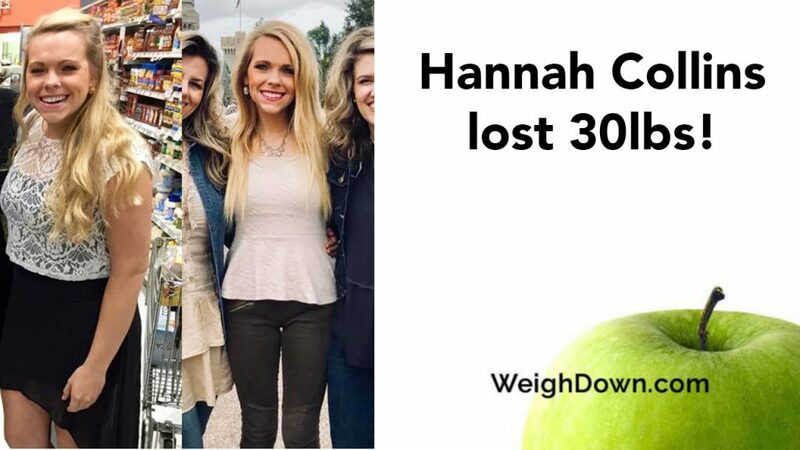 By following the principles of Weigh Down, Hannah lost over 30 pounds! She also laid down many other vices including self-focus, rebellion, over-drinking and just an overall ungodly lifestyle. 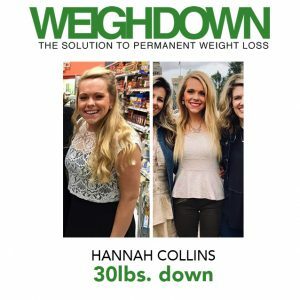 Hannah says, “To tell you the truth, I cannot think of one single area that my life has not changed for the better by putting the Weigh Down principles into practice! My finances have been totally healed and get better every year. “I was sick and tired of the pain I was in and the lack of peace. Seeing so may others lives change because of Weigh Down gave me so much hope and fuel that I could change myself. “I’ve found a real and interactive relationship with God. As a result, I found my amazing husband. My marriage is totally fun and blessed, and I fall more in love with him everyday. I’ve finally found my purpose in life. Every morning, I wake up happy and hopeful. I’m just so grateful for every little thing. No longer do I long for the things of this world. Through Weigh Down, I’ve found true freedom, a gift from God that is completely priceless! Hannah’s transformation is completely beautiful and an inspiration to so many young women. 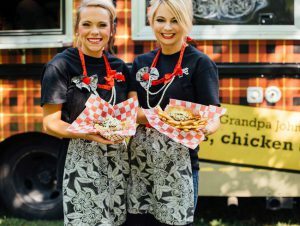 Hannah and her husband Spencer manage a restaurant and food truck. Even though she is surrounded by food all day, like their famous chicken and waffles, she is still able to maintain her weight loss following the principles of Weigh Down. She gives all the praise to God for all of the blessings that He has given her. Her attitude and life drastically changed for the better because of the teachings of Weigh Down! “This program had all of the answers I had been searching for, which healed the pain. Not to say that there are not still hard times and struggles, but I now have the tools and resources to go through the storms peacefully. The resources that Hannah recommends includes Weigh Down Advanced, Breakthrough Series and the Revolution Class. I dug deeper and really changed my heart through these classes. She says staying in All Access was huge for her to constantly be listening to and reading Truth to stay focused.